I just finished reading Wayne Kramer's fabulous autobiography The Hard Stuff and was inspired to pull this recording out of the archive to check it out. I had kinda forgotten about it. I recalled that night as being a bit of a mess and not that great. For those of you not familiar with this band. Wayne Kramer wanted to pay tribute to his friends/band members from the MC5 that had passed. Fred "Sonic" Smith and Rob Tyner. 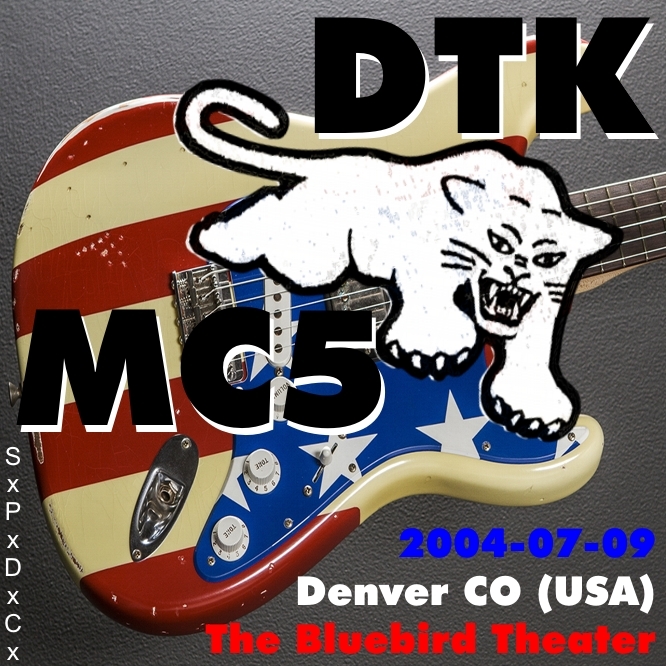 Original MC5 members Dennis Thompson and Michael Davis played drums and bass. Various second guitarists and vocalists joined for the multiple legs of this tour. This Denver show had Evan Dando (Lemonheads) and Mark Arm (Mudhoney) handling vocals and Marshall Crenshaw filled out the lineup as the 2nd guitarist. Dando wasn't well behaved on this tour and was eventually fired in Japan. I recall not being impressed by him at this show and Mark Arm carrying the weight of the performance. What I had also forgotten was that I had gotten a soundboard recording that night. Listening back now Dando wasn't as terrible as I remembered. Pretty great sound on this. I sweetened up the EQ a bit. Enjoy.